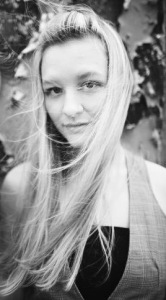 Katie Bickham’s poems have appeared in The Missouri Review, Deep South Magazine, The Road Not Taken: A Journal of Formal Poetry and elsewhere. Her work has won the The Missouri Review Editor’s Prize and her first book, The Belle Mar, was selected by Alicia Ostriker as the winner of The Lena-Miles Wever Todd Poetry Prize. Katie teaches English and poetry at Bossier Parish Community College in Bossier City, Louisiana. She lives in Shreveport with her husband and son in a very old house. The poems in your collection, The Belle Mar, examine the history of a house of the same name that has existed since the days of slavery. Do you typically write poems as a sequence like this or was this book unusual for you? I’ve always liked the idea of a book whose poems work as a unit – and I mean more than just thematic similarity. Some of the first books of poetry I read were Rita Dove’s Mother Love (which tell, in sonnet form, an updated Persephone and Demeter tale) and Charles Reznikoff’s Testimony, in which each poem is pulled from court transcripts related to the American Industrial Revolution. The conceit of the sequence is unusual for me. Maybe as a result of going through an MFA program, I had a stack of motley, wayward poems – form, free verse, imitations, lyric, narrative. So the sequence gave me a place to settle down and listen to my own voice. How much research did you undertake in order to portray the historical and cultural perspective behind The Belle Mar? Nearly every poem in the book is the result of at least some amount of research. The first poem I wrote came spontaneously, and brought on the idea of the conceit, and at that point, I started making a timeline of significant events in the state’s history – wars, the passage of laws, even significant weather events – and built outward from there. I also spent a lot of time in real plantation homes, learning the peculiarities of the architecture and decor, walking the few remaining barracks and work buildings. I was particularly interested in the preparation and serving of food and the burial of the dead. The Belle Mar is a composite of a few homes in the southernmost parishes of Louisiana. In “Far Swamp, 1825” and “Attic, 1835,” you contrast the burials of a slave and a slave owner. Throughout the book you often present contrasting perspectives like this. What was your process for interweaving such themes throughout the book? One of my goals for these poems was to avoid being propagandistic or preachy in any way, to force the reader to do the work of conscience on her own. To achieve that, I had to avoid giving preference to any particular point of view. It was important to show death, for instance, from all sides – slave, master, child, father – so that we remember grief (and love and hatred and fear) are human and universal. These were human families who lived together on a property for hundreds of years, and no matter how they tried to distance themselves emotionally from the other, no matter that they viewed each other as entirely foreign – often as the enemy – none of them can escape her or his humanity, and the kinship, however unconscious, which accompanies it. Do any of the characters in your poems reflect real people from your life? Most of the characters in The Belle Mar are entirely fictional. However, the burial of the slave was based on a true account. And Abraham, who stole his master’s horse, was also a real man, and his master’s response is presented in the poem almost to the letter. However, once I reached the 1950s, many of the poems are composites and half-truths of stories my parents and grandparents told me about their own experiences (the dirt-floored pediatrician’ office, for instance). Has writing persona poems changed the way you see the real world? I’m not sure I’d call these persona poems, as they are all in third person excepting the final poem. However, writing this much poetry without use of the “I” has shaped my interactions with the world in my writing life. Often, in drafts of poetry, I’d have a strong central idea, but in trying to relate it somehow to myself, my experience, or how it affected me, the poem fell apart. I wrote some decent confessional poems early on, but I quickly realized my own life and my own feelings were not going to provide me with either the quality or the quantity of poetry I wanted to produce. I have led a very ordinary life. I don’t have any complaints about it. But we can’t all be Yeats writing about busted love affairs from the edge of a revolution, you know? Part of how The Belle Mar came about was my searching for a way outside my own experience. I wanted to disappear from my poems entirely, until I was more or less channeling stories inasmuch as I believe in that sort of thing. I often wonder if poetry wouldn’t be more popular with the American reader if so much of it weren’t about the poet. Your narrative poems create an emotional response in the reader as they follow the lives of many characters in The Belle Mar. Personally I was very moved by the way you presented the realities of slavery and prejudice. What do you hope readers take away from this emotional response? My friend David Mura, a wonderful poet, just wrote this piece about what racism looks like today: http://blog.davidmura.com/2015/03/06/a-new-definition-of-racism/. What began to really scare me as I became an adult in Louisiana was the fact that racism had gone underground. If you’ll tolerate the analogy, the racism of the 1800s up until about 1980 had been a pox – something you could see easily on the faces of the affected. A racist was outspoken about his prejudice, and the victims of discrimination could easily point to their tormentors. But today, racism has become more like a disease of the marrow – something we can’t detect with our five senses. More dangerous, perhaps, than a group of men in white hoods who wave their hatred like a flag are men in suits and ties who call their hatred by other names, so that they are actually unaware of it. Racism, hatred, degradation – these ideas are here as much as they ever were. We built our homes on top of their altar, and we have to own that. We don’t get to walk into shops and buy flowers and go swimming and eat supper without knowing that people hung from the trees around us, that their dead are buried in the swamps. It is not our right to forget or to move on. I hope that these poems work to show people the changing nature of hatred, and the steadfast nature of goodness. If we want to live in this state, or in this country, we have to accept that the unforgivable cruelty which took place here must remain, in perpetuity, part of our national conversation. When white people discuss issues of race, they often spend a lot of time focused on finding endgame solutions. They want to be saviors, or solvers, or to be redeemed. But what if we took a break from trying to apologize for or repair our history and just remembered it? Just sat in that deep discomfort and felt our place in it? What if we don’t get to have catharsis? What if we don’t get to decide when, if ever, the ugliness is resolved? I think this is the better way to learn, and I hope the book facilitates that for readers.